There is only a little bit over a month left until one of the year’s best metal festivals comes to grace fans with some fantastic, face-melting music. 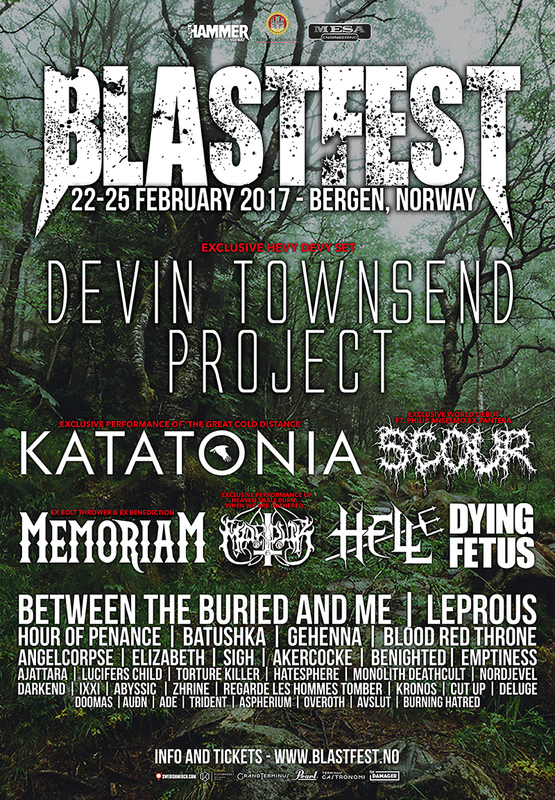 Blastfest looks undeniably good this year, featuring such stellar acts such as the Devin Townsend Project, Between the Buried and Me, and Scour. The festival is in it’s 4th year now, and the years of experience under its belt is definitely showing. The headlining acts this year are more impressive than ever, and even the lesser acts boast a certain quality to them. The festival is held in the Norwegian city of Bergen, a gorgeous city steeped in metal from its culture to its past, and famed for its natural beauty with its location between seven mountains and seven fjords. 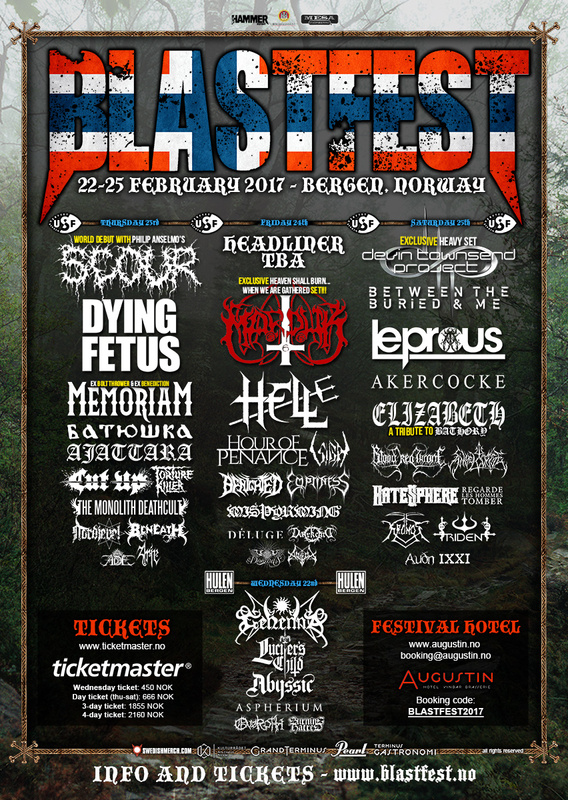 Blastfest takes place right in the heart of winter on February 22nd – February 25th, 2017. Blastfest did fall under fire a couple months ago, after the cancellation of one of its headliners, Peste Noire, after the French antifascist faction pressured festival organizers and supporters to do so. 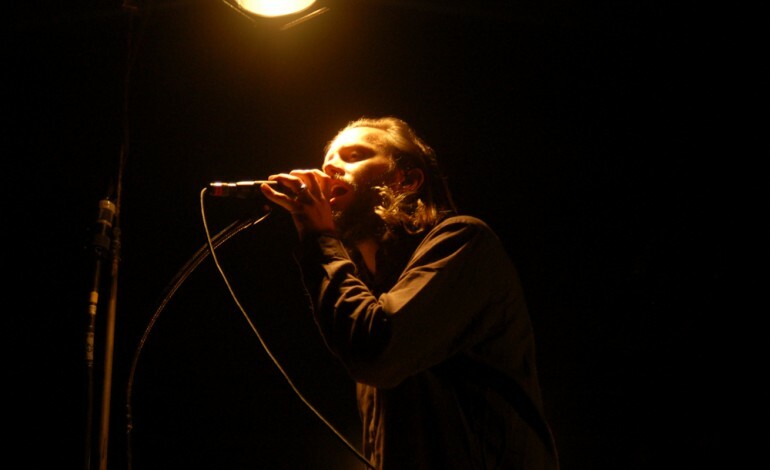 Peste Noire have been suspected of being a National Socialist band for a while, but their inclusion on the Blastfest bill this year angered group leaders enough to interfere. Finnish black metal band Horna even decided to cancel their own appearance at the festival in solidarity towards Peste Noire. If you are looking to attend this incredible metalfest, you can purchase tickets here. Check out the festival poster and full lineup below. UPDATE: This year’s Blastfest has been unfortunately cancelled due to low ticket sales, according to a statement released by event organizers. Hopefully we’ll see the Bergen event coming around again soon, with a lineup as anticipating as this one.